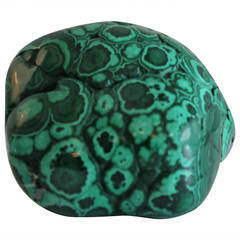 Natural form malachite object or specimen in an organic shape and of substantial size. 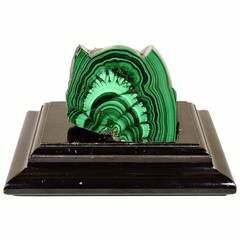 Exceptionally large Grand Tour malachite specimen, on a carved wood fitted stand. 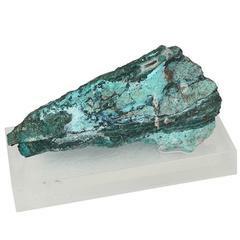 Dimensions of specimen: 4 × 5 × 4 inches. 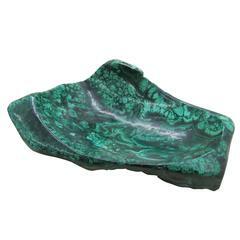 On stand: 5.5 × 10 × 7.5 inches. 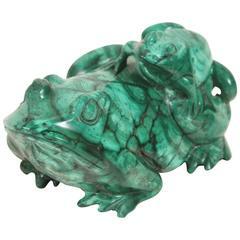 Hand-carved Malachite frogs-mother and offspring.